This cute tabby cat is enjoying a pile of towels in her kennel. In January, to start out the New Year, stores often discount bedding and towels. It’s a marketing strategy called a “White Sale,” when bedding used to be all white, to jump start sales after the Christmas shopping season is over. I don’t remember ever buying bedding or towels in January, but it is a good time to do an inventory of your old towels and sheets. I keep a lot of old towels for cleaning rags, more than I need, so I donate some to Wayside Waifs, the animal shelter, where I volunteer. Animal shelters have a constant need for towels that are still in good condition. The towels are placed in the kennels to give the animals soft, cozy bedding. Old blankets and sheets are also needed. Contact your local animal shelter to see how you can donate. Wayside Waifs has a large bin in its entryway for donations, for example. An old towel is also wonderful for people. In “The Hitchhiker’s Guide to the Galaxy,” author Douglas Adams championed the importance of always having a towel with you when you travel the galaxy. I always carry at least one towel in my car on my earthly travels. It’s been very useful many times. A dog enjoys a large sheet. Beyond is a blanket. In the next kennel, blankets cover a dog bed. Most of the bedding at the animal shelter is donated. Towels can also provide privacy in a kennel. Here, two cats can hide behind the hanging towel, if they feel like having some privacy. This animal shelter room, enjoyed by two cats, is furnished with many towels to make it very comfy. Towels of every size are available throughout the animal shelter. On the lower left, a dog bed is made up with a couple of towels, ready for the next occupant. Have a Meowy Christmas and a Tail Wagging New Year! This Gingerbread House, by pastry chef Greg Connolly, resembles the Wayside Waifs building with its characteristic silo. It greets visitors, staff and volunteers who come to Wayside Waifs. 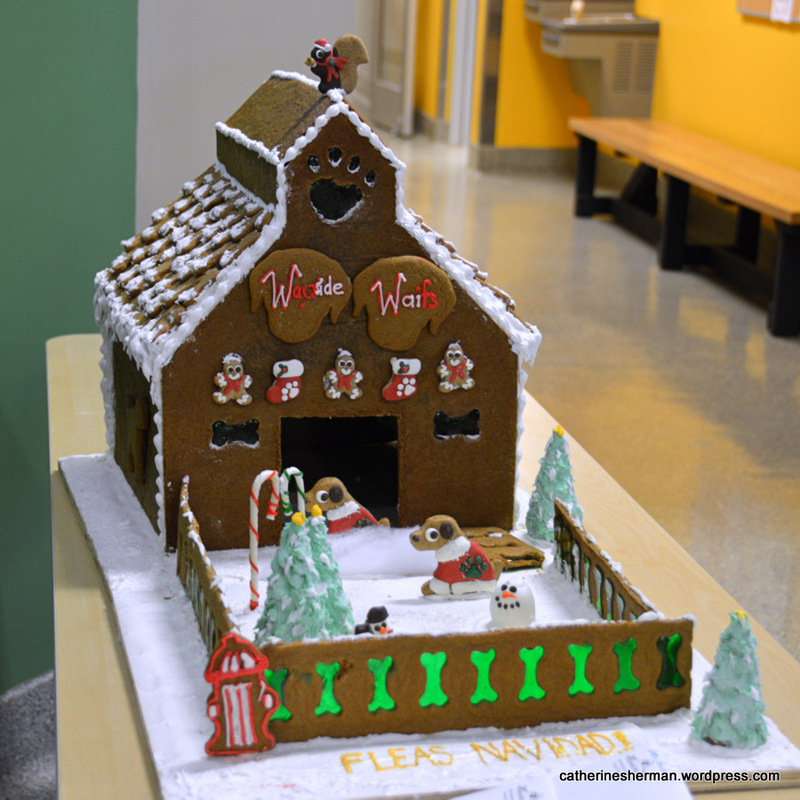 Greg Connolly, a pastry chef, created and donated this cute gingerbread house to Wayside Waifs, where it is displayed in the entry hall for the Christmas season. Wayside Waifs is a no-kill animal shelter in Kansas City, Missouri. The house shows a cookie squirrel on Wayside Waifs’ signature silo rooftop. Along the dogbone fence, written in the snow in yellow, is “Fleas Navidad.” Don’t miss the fire hydrant, and look for the dogs wearing Christmas sweaters and the grinning snowmen in the frosty yard. Inside, I’m sure there are kitties tucked in bed, waiting for Santa to bring a jingle ball. UPDATE: Here’s a video of puppies enjoying this gingerbread house. I love photographing animals. On a recent trip to Peru, I saw hundreds of dogs, so my camera got a real workout. 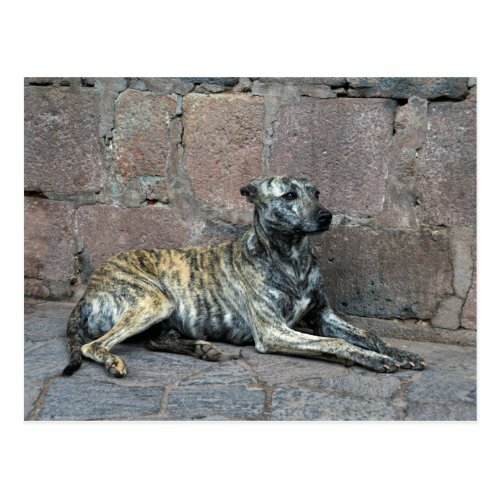 We saw many kinds of dogs, including this Peruvian Hairless dog (shown above) posing on a street in Aguas Calientes (Machu Picchu Pueblo), the village at the foot of Machu Picchu. We saw many dogs wearing clothes, but few wearing collars or on leashes. Most wander freely, but seem to have homes or territories they return to. 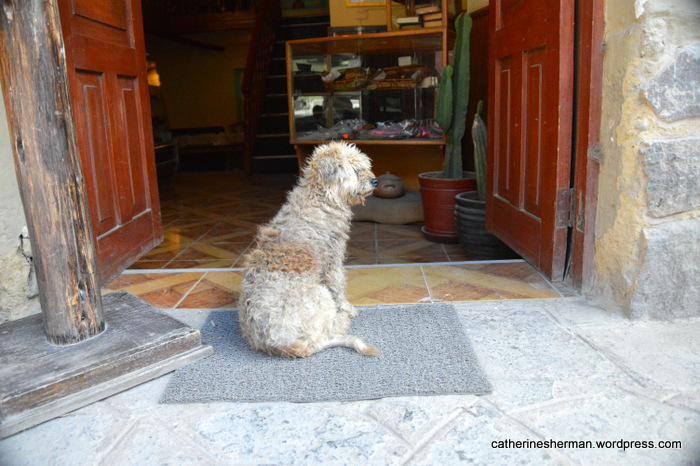 We often saw dogs sitting in the doorways to shops (and sometimes a cat inside) and at the front door of houses. An ancient breed, the Peruvian Hairless Dog is the national dog of Peru. The dogs were kept as pets during the Inca Empire, but their history goes back even further. Depictions of Peruvian hairless dogs appear around 750 A.D. on ceramic pots and were featured on ceramic vessels in several Peruvian cultures. The Spanish conquest of Peru nearly caused the extinction of the breed. The dogs survived in rural areas, where the people believed that they held a mystical value. 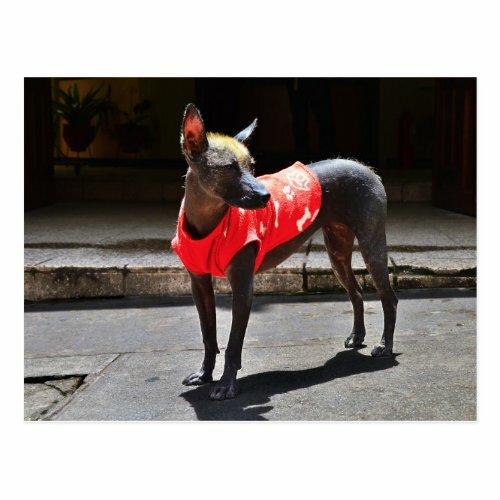 There’s a photo of another Peruvian Hairless dog in a shirt in one of the photos below. 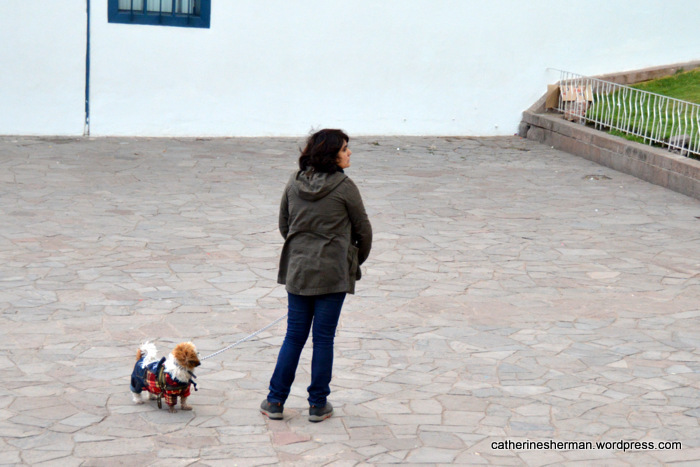 We saw this dog near the main square (Plaza de Armas) of Cusco, often sitting in the grass. Here his coloring blends in with the ancient Inca stonework. 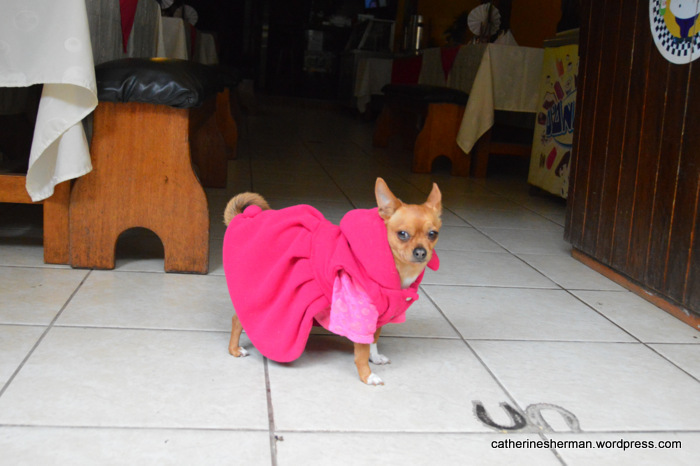 A chihuahua shows off her fabulous dress as she stands in the doorway of a restaurant in Aguas Calientes, the town at the foot of Machu Picchu. Isn’t she a cute little diva? A Peruvian Hairless dog, the national dog of Peru, wears a shirt to protect his bare skin. He stands on a walkway along the railroad tracks in Aguas Calientes, the town at the foot of Machu Picchu. 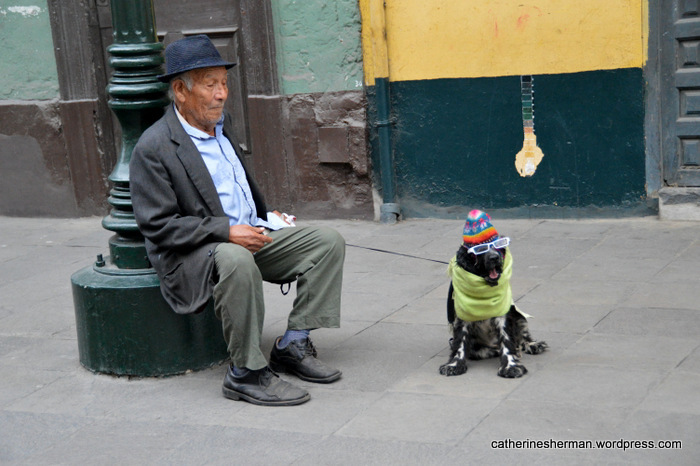 A man and his sportily-dressed dog rest on a street in Lima, Peru. 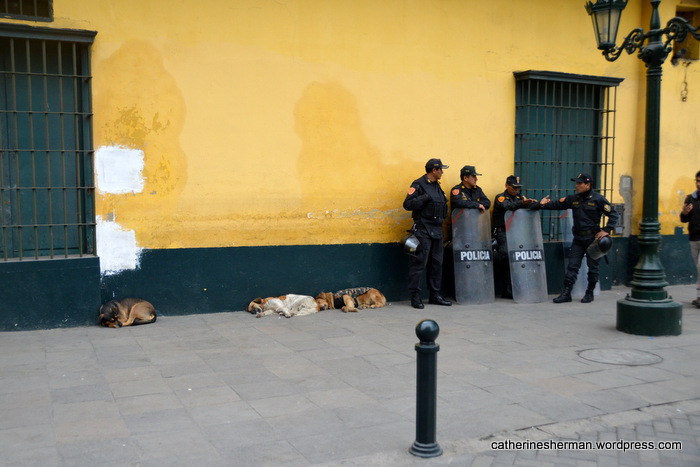 I think these are police dogs in Lima, Peru. Here they are resting, but a few minutes later they were all awake and standing by the policemen. 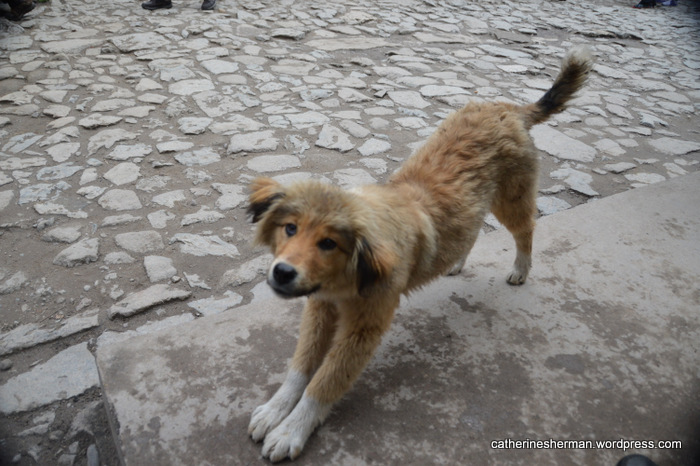 Look at this cutie pie on a street in Ollantaytambo, Peru. 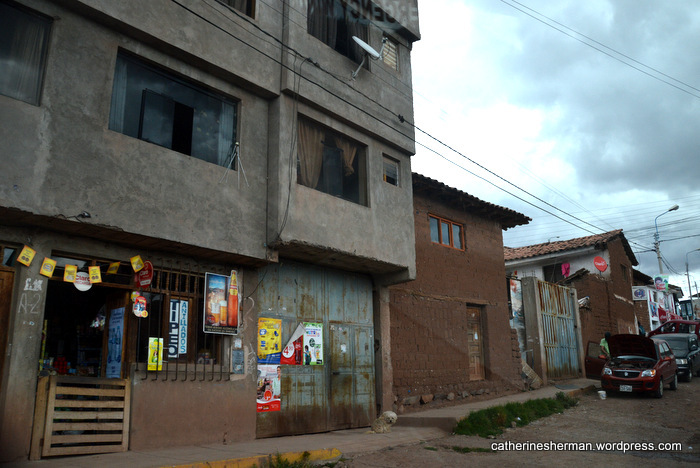 You can see an example of the ancient Inca stonework in this town, where an Inca emperor had an estate. 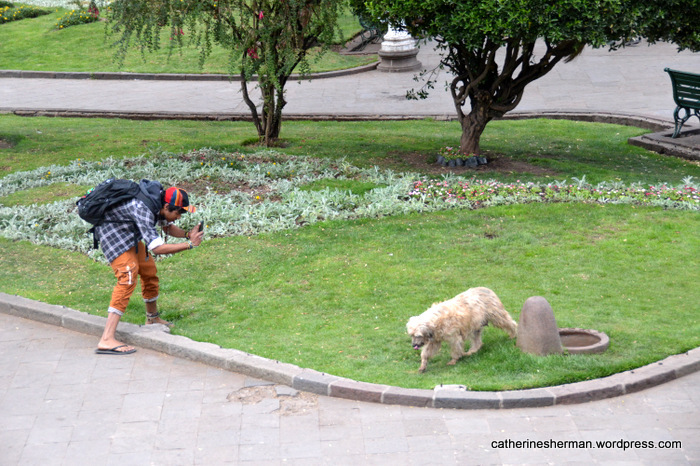 Here’s another dog photographer, capturing this dog who has just gotten a drink at a dog watering fountain in Cusco, Peru. 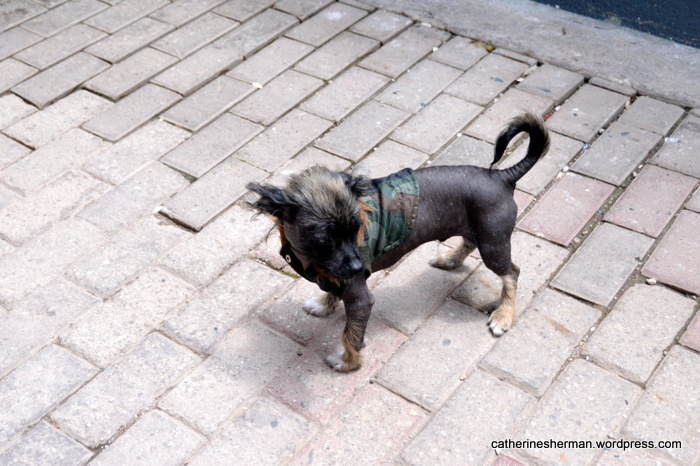 A hairless chihuahua sports a camouflage jacket on a street in Aguas Calientes, the town at the foot of Machu Picchu. 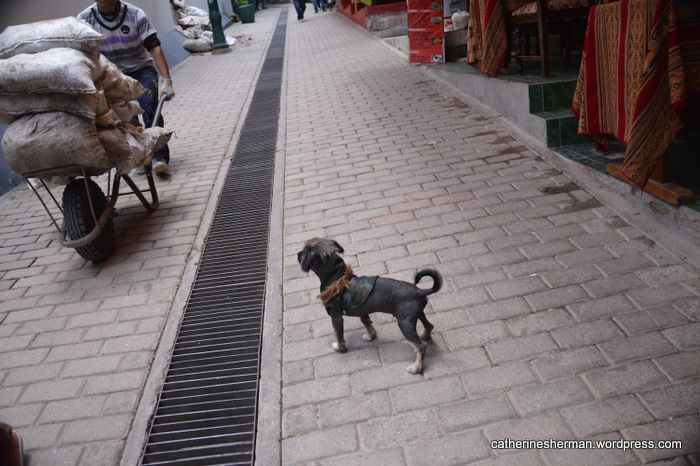 A hairless chihuahua in a camouflage jacket watches a man with a wheelbarrow on a street in Aguas Calientes, Peru, the town at the foot of Machu Picchu. There are no roads to Aguas Calientes, so most goods come in by train and are wheeled around. Most dogs we met in Peru ignored us, but this dog was friendly and stretched out in a greeting at the entrance to the ruins of Machu Picchu. He didn’t seem to want food, which is good, because I didn’t have any. He was at the entrance both days we went to Machu Picchu. 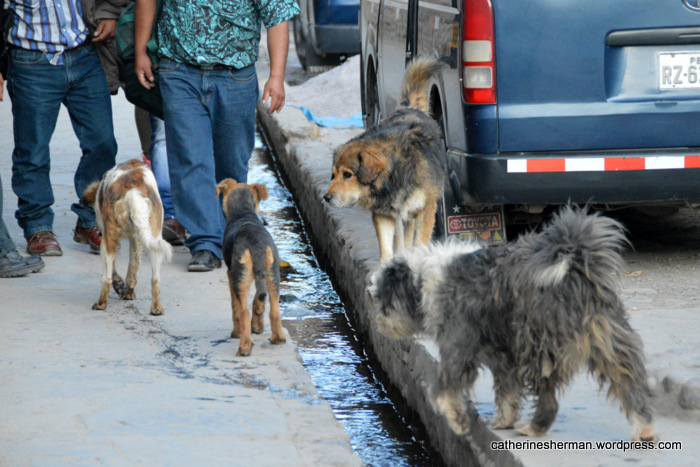 A man has a German Shepherd on a leash while the puppies obediently follow across a street in Cusco, Peru. You can see another dog lounging inside the shop just beyond. 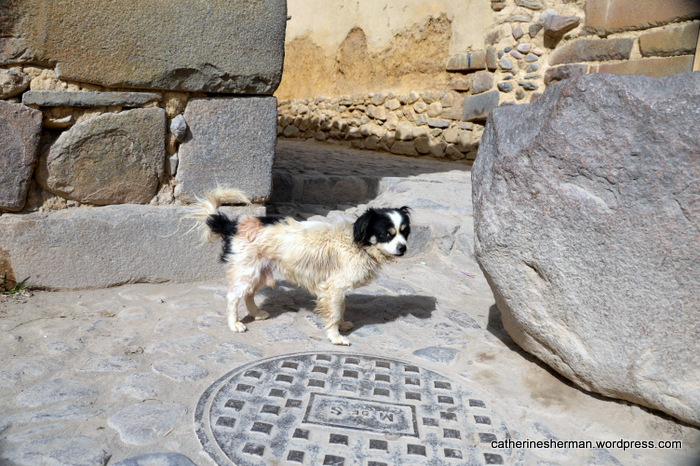 Dogs meet up on a street in Ollantaytambo in the Sacred Valley of Peru. 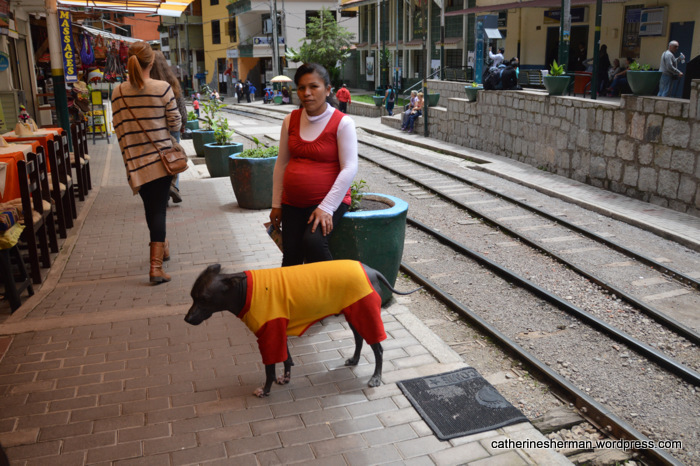 A woman takes her fashionably dressed dog for a walk in Cusco, Peru. 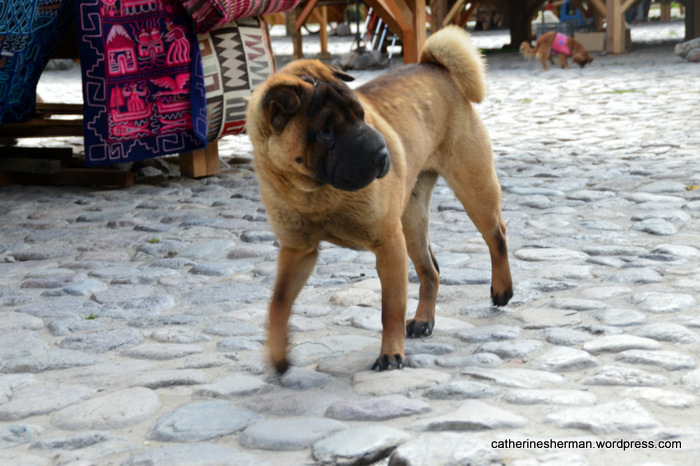 This friendly Shar Pei dog patrols his corner of a market in Ollantaytambo, Peru. The Shar Pei, which originated in China, is considered one of the most rare dog breeds. Its name derives from the Cantonese words “sand skin” and refers to the texture of its short, rough coat. As puppies, Shar Pei have numerous wrinkles, but as they mature, these wrinkles loosen and spread out as they “grow into their skin”. Shar Pei were named in 1978 as one of the world’s rarest dog breeds by TIME magazine and the Guinness World Records. The American Kennel Club did not recognize the breed until 1991. 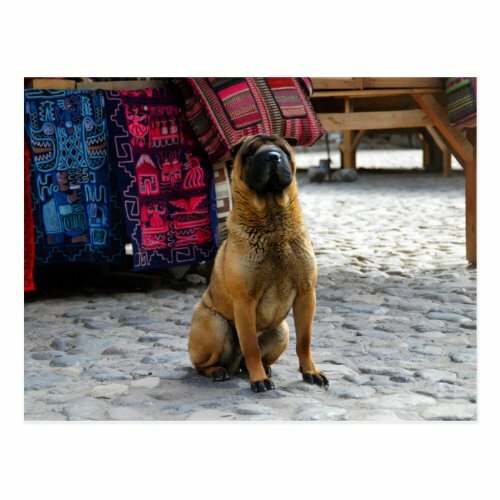 A dog sits in front of a shop in Ollantaytambo, Peru. 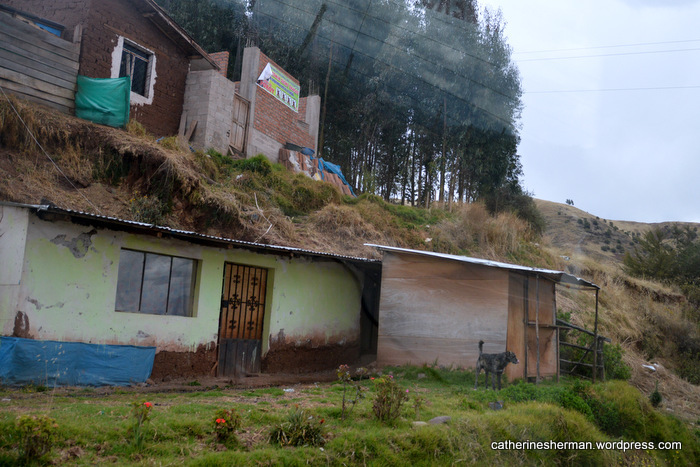 I took the following photographs from our van when we drove from Ollantaytambo to Cusco, so I apologize for the marginal quality. I really could have taken photos of dogs all day, and wished we could have stopped. 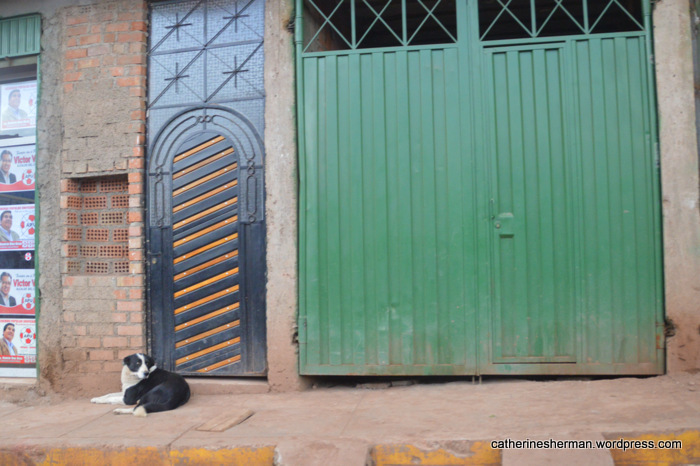 A dog waits at a doorway. On the wall and light pole near him are political posters. 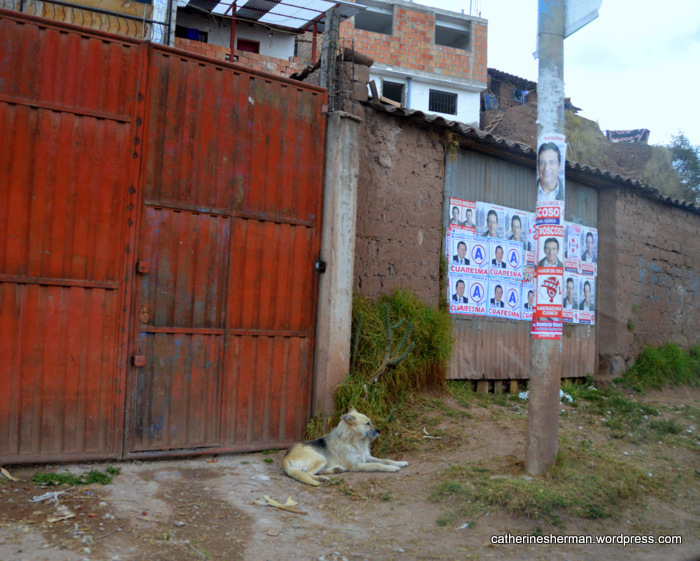 A dog in Cusco, Peru. 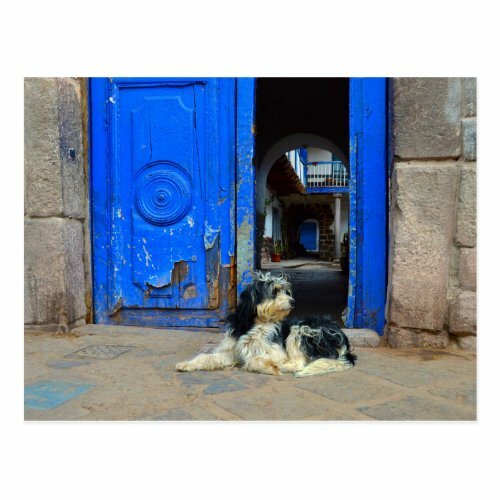 A little white shaggy dog sits on a sidewalk in Cusco, Peru. 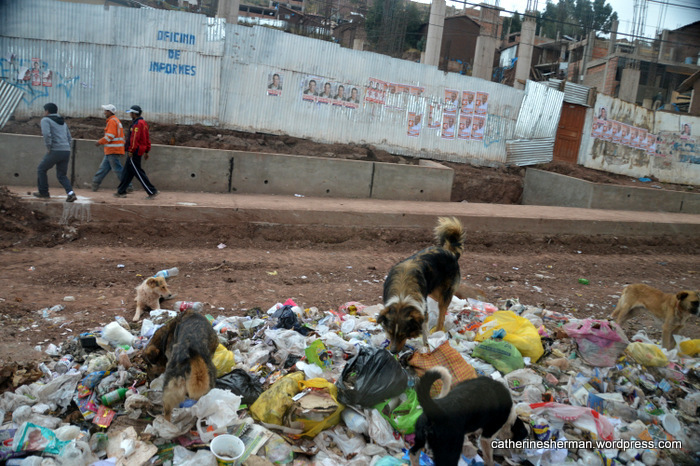 Dogs dig in trash bags along a highway near Cusco, Peru. Not to leave out cats, here is a link to my son and daughter-in-law’s photos of the cat park in the Miraflores District of Lima, Peru. Some of the about 120 cats descend from a pair that city authorities introduced in the late 1990s to control a rat infestation. Others were abandoned. You know you can’t resist clicking on this link! Cat Park in Lima, Peru. Bark at the Park Registration at Kauffman Stadium for the Kansas City Royals game against the Seattle Mariners on June 22, 2014. Balls and dogs definitely go together. 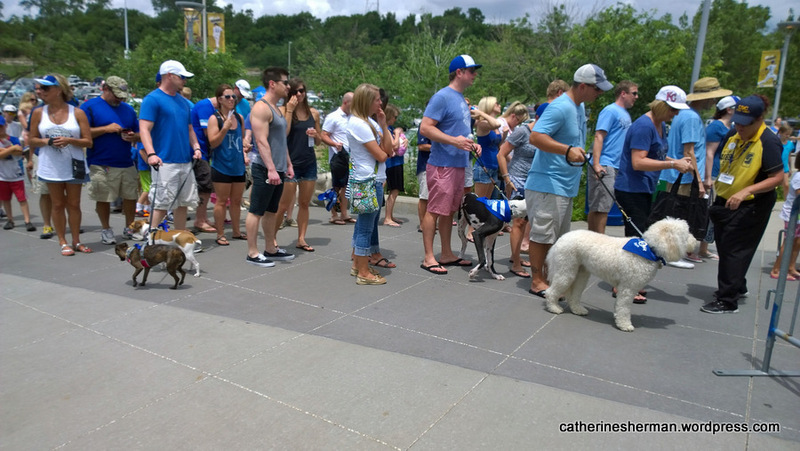 At Bark at the Park, scores of dogs and their people had a great time at Kaufman Stadium on July 22, 2014 at the Kansas City Royals-Seattle Mariners baseball game. 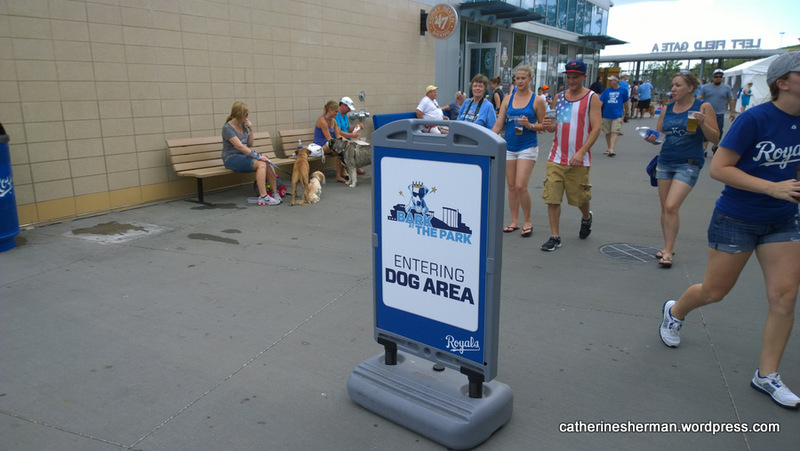 Bark at the Park at Kauffman Stadium during the Kansas City Royals-Seattle Mariners on June 22, 2014. What a treat to see so many dogs! Click on any thumbnail to see a full-size photo and to start the slideshow. Dog and human cool off at Bark at the Park at Kauffman Stadium when the Kansas City Royals played the Seattle Mariners on June 22, 2014. Dogs and their people relax at Bark at the Park during the game on June 22, 2014. The Kansas City Royals played the Seattle Mariners. The Seattle Mariners hustle to catch a ball as a Royals player runs the bases on June 22, 2014. What dog wouldn’t enjoy a hot dog race. Here relish, mustard and ketchup race at the Kansas City Royals game on June 22, 2014, during the Bark at the Park event. Flags fly and fountains play at Kauffman Stadium when the Kansas City Royals played the Seattle Mariners on June 22, 2014. There were plenty of wading pools for dogs to enjoy at Bark at the Park at Kaufman Stadium on June 22, 2014. Visitors stop at the Wayside Waifs booth at Bark at the Park during the Kansas City Royals game on June 22, 2014. There are Bark at the Park events at many Major League baseball stadiums. Bark at the Park Dog Events at Major League baseball stadiums. Kansas City Royals Bark at the Park. 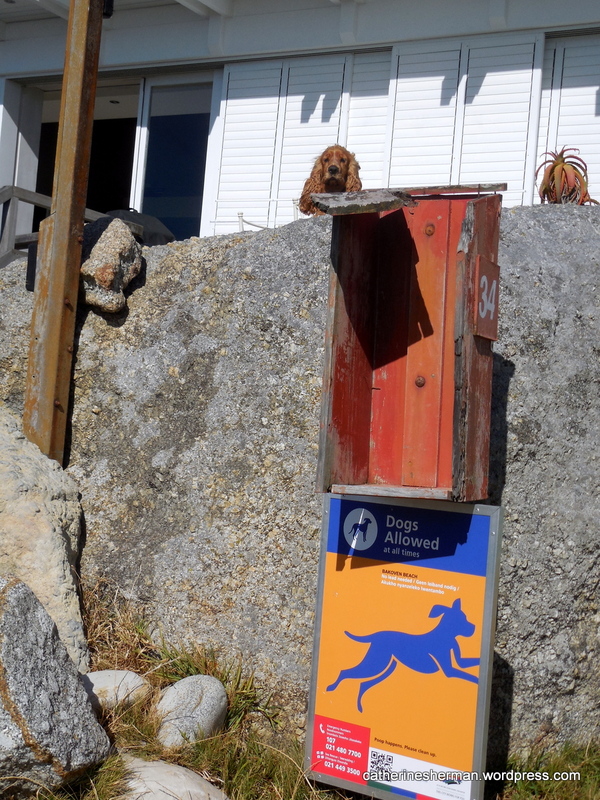 These photographs are from a week spent in beautiful Camps Bay, South Africa, in January 2013. 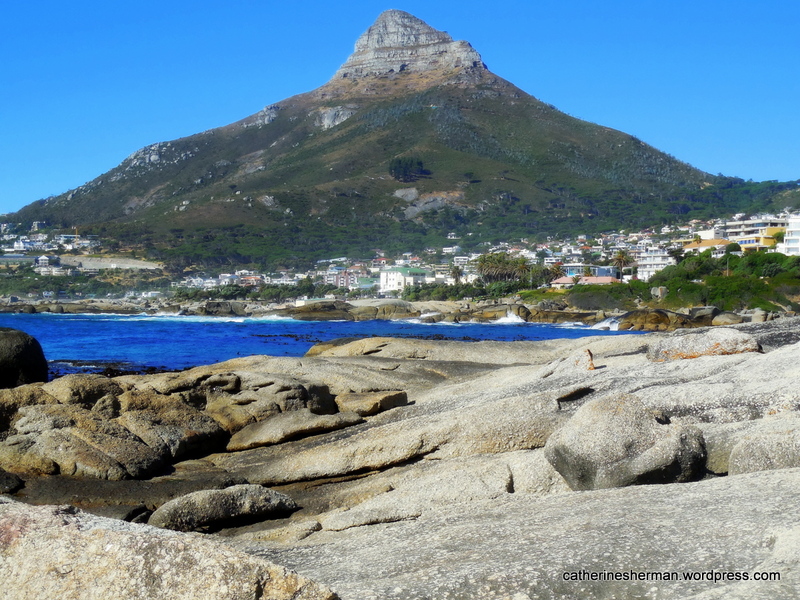 Camps Bay, a suburb of Cape Town, is nestled against the Atlantic Ocean side of Table Mountain, a sandstone mountain range that runs southward the length of Cape Peninsula. Lion’s Head rises dramatically to the north of Camps Bay. Shown in the foreground are the rocks of Bakoven Beach. 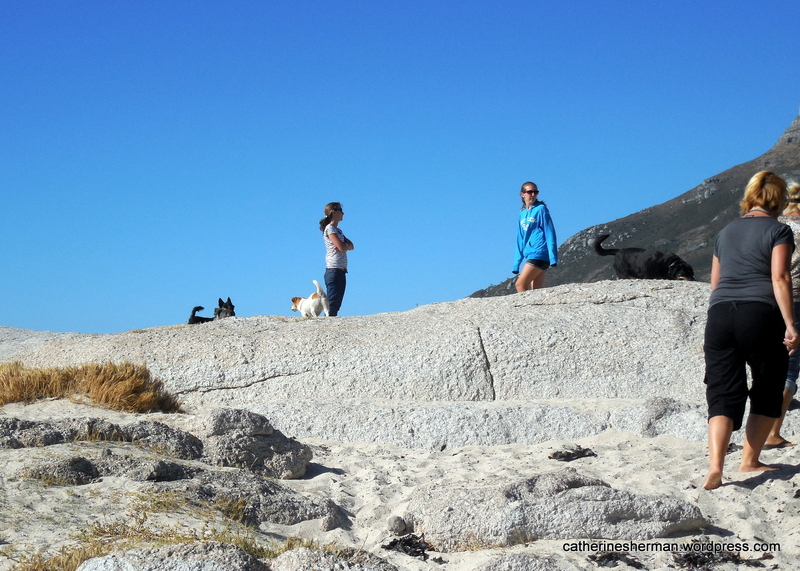 Dogs and their owners enjoy the rocks of Bakoven Beach in Camps Bay, South Africa, which is a suburb of Cape Town. The Twelve Apostles range forms the backdrop of Camps Bay, South Africa, and are part of Table Mountain on the Cape Peninsula. 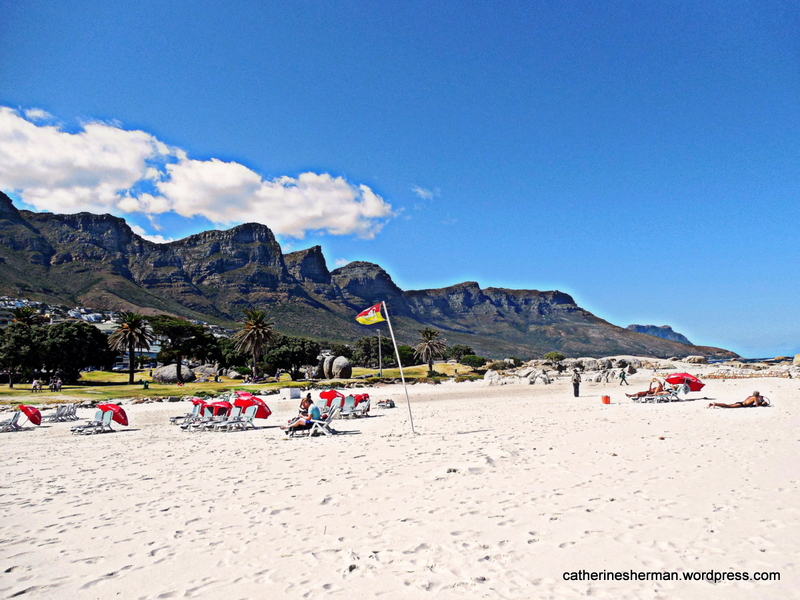 CLICK ON THESE THUMBNAIL PHOTOS OF CAMPS BAY SCENES TO SEE A FULL-SIZE IMAGE. This weekend, March 30 through April 1, 2012, three Kansas City shelters are joining 57 shelters across the nation in a Mega-Match-a-Thon pet adoption event to send as many homeless animals as possible into new, loving, safe, forever homes. All adoptions will be $25, and all animals will be spayed or neutered, microchipped and vaccinated. The three Kansas City area shelter are Wayside Waifs, Heartland SPCA and KC Pet Project. Bring home a furry friend this weekend or find a no-kill shelter in your area. Don’t miss this MEGA Match event! Click here for information about Wayside Waifs. UPDATE: 706 shelter pets found their forever homes during the KC Megamatch event at Heartland SPCA, KC Pet Project and Wayside Waifs! 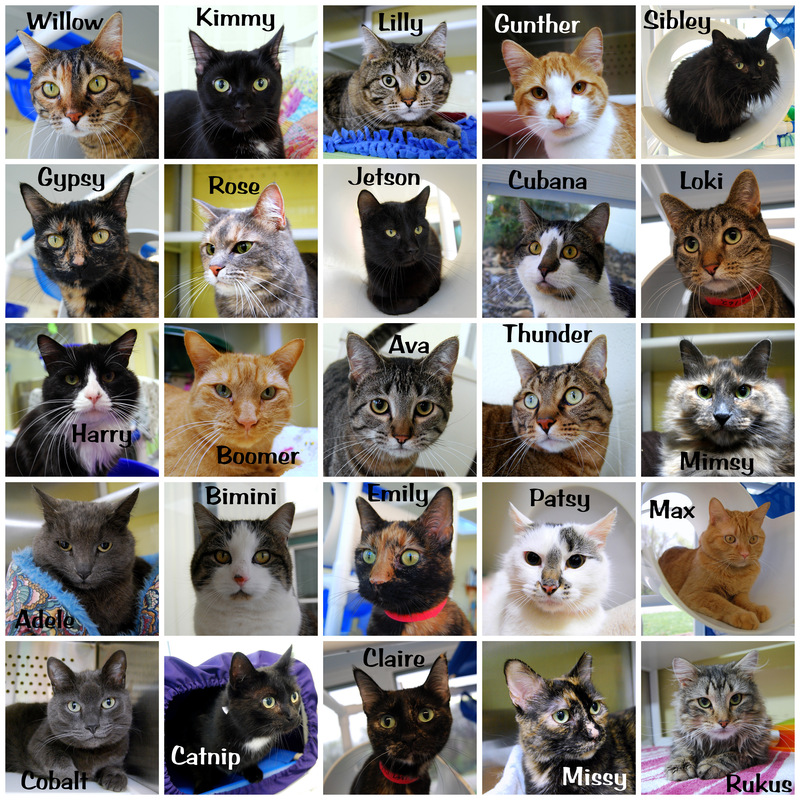 Here are some of the beautiful cats I've recently photographed at Wayside Waifs. These cats and more, plus lots of dogs, will all be available for adoption this weekend (March 30-April 1, 2012) in a Mega Adopt-o-than. This is my new favorite song. It rocks! It shows great views of the Seattle area. Plus the message is important, too. I know that I’m just preaching to the choir here, because you all pick up after your pets. But you’ll enjoy the song. I love dogs. And so that everyone will love dogs, we need to make sure that scofflaws clean up after their dogs so the poop doesn’t wash into the water supply. My daughter and son-in-law’s apartment complex provides poop bags on posts with trash cans around the grounds. It’s a great idea! Now, for a song about keeping cats safe inside and birds safe outside!